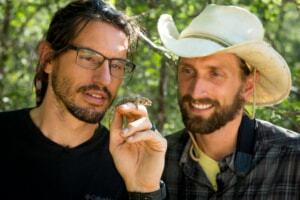 Biologists, wildlife filmmakers, and best friends set out on a year-long quest, traveling from remote forests and tiny islands to high-tech labs and big cities, all in pursuit of these lizards that defy expectations. As they battle their rivals, evade predators, and survive in hostile environments, these little lizards seem to meet every challenge with an ingenious adaptation. In the process, they reveal how simple rules – what we call the “laws of the lizard” – can explain the complexity of nature. Nate Dappen is a biologist, photographer, and filmmaker based in San Diego, CA. He studied the Ibiza Wall Lizard in grad school at the University of Miami, earning his Ph.D. in Biology in 2012. 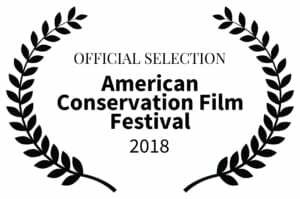 Nate is a Fellow of the Explorers Club, an Affiliate of the International League of Conservation Photographers, and serves on the board of the International Wildlife Film Festival. He can’t get enough of surfing, Brazilian jiu-jitsu, or IPAs. Neil Losin is a biologist, photographer, and filmmaker based in Miami, FL. He was named a National Geographic Young Explorer in 2009 while studying invasive lizards in Florida and Puerto Rico. Neil received an NSF Graduate Research Fellowship and earned his Ph.D. in UCLA’s Department of Ecology and Evolutionary Biology in 2012. He’s an incorrigible birdwatcher and can juggle more objects than you’d think.